Critical Edition with introduction and commentary by Leon J. Weinberger This is the first in-depth study of three 11th- to 12th-century poets from Balkan Byzantium. Included are all of the known works by Moses b. Hiyya, Joseph b. Jacob Qalai, and Isaac b. Judah, collected from rare manuscripts and printed editions and from Geniza collections at Oxford and Cambridge. 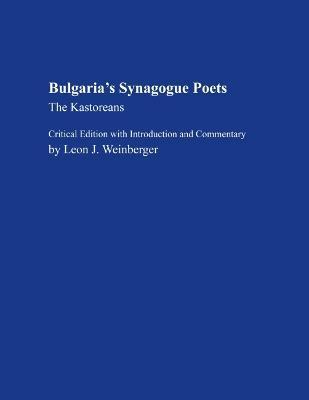 These works provide the evidence that the Balkan synagogue poets favored distinctive literary forms even as they show the strong influence of the Hispanic-Hebrew writers. Completing the volume are indexes of rabbinic, Aramaic, and payyetanic usages and tables of metonymical terms. Published by the Hebrew Union College Press, distributed by The University of Alabama Press.